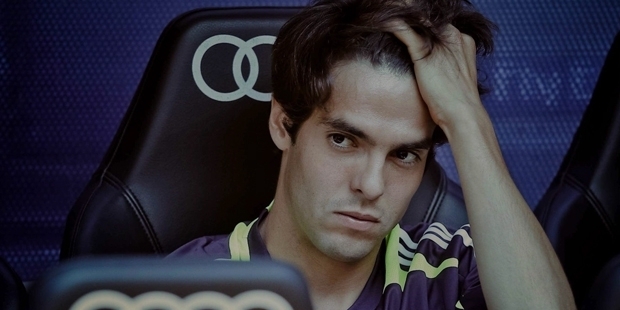 Kaka was born on April 22, 1982 at Gama, Brazil. 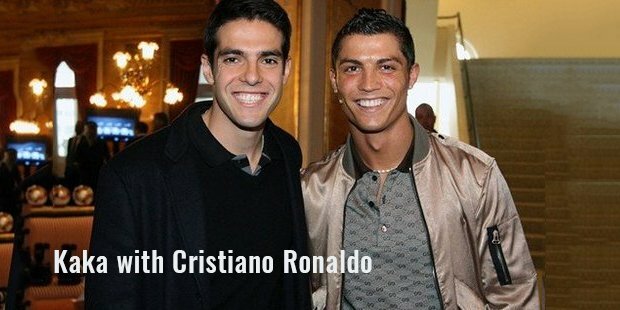 His was named as ‘Ricardo Izecson dos Santos Leite’ at his birth. As his family was financially well equipped, Kaka had more time to spend on his football interest from a very young age. At the age of 8, he was selected to play for the Sao Paulo FC junior side. The management was so impressed with his performance that he was given a contract at the age of 15 itself. He immediately showed his caliber by leading the youth side to victory in the prestigious ‘Copa de Juvenil’ tournament. He made his debut for the senior side in February 2001. In his first season itself he scored 12 goals in 27 appearances and helped his side win the Torneio Rio-Sao Paulo Championship for the first time in club history. The next season, he continued his good form by scoring 10 goals in 22 matches. With his improving performances, several European clubs began showing interest in bringing Kaka to their club. But Italian AC Milan went on to sign Kaka in 2003 for a fee of $11 million. He was soon one of the most important players in the side contributing 10 goals in 30 matches. He helped his team win the ‘Scudetto’ and ‘UEFA Super Cup’ that season. For his superb performances in his first year at AC Milan, he was nominated for both the Ballon d’Or and the FIFA Player of the Year. In the 2004-05 season he helped his side come second in the UEFA Champions League. In the 2005-06, Kaka went on to score hat-tricks in both the Italian Serie A and the UEFA Champions League. In the 2006-07 UEFA Champions League, he ended as the top scorer with a total of 10 goals. In December 2007, Kaka reached the highest point of his career when he won the Ballon d’Or with a total of 444 votes on his fourth consecutive nomination. He was also voted the 2007 FIFA World Player of the Year with nearly double the votes of runner-up Lionel Messi. That year he was included in the TIME 100 list consisting of the most influential people of the world. His popularity had grown so much that he had become the ambassador for football in many of the developing countries in the world. In 2008, he led his team to the Club World Cup against Boca Juniors. Now Kaka was without a doubt one of the most valuable players in the world. In 2009 he was transferred to Real Madrid from AC Milan for a huge $89 million on a six-year contract. This was the second highest transfer fee in history behind the $100 million transfer fees of Zinedine Zidane in 2001. He was also a regular member of his international side Brazil, scoring 29 goals in 87 appearances. In 2012, Kaka’s yearly earning was close to $19.5 million. Today Kaka is one of the most popular sportsmen on the planet with over 17 million followers on Twitter as of 2013. He has been one of the most successful footballers of the 21st century winning almost every trophy that the game has to offer.